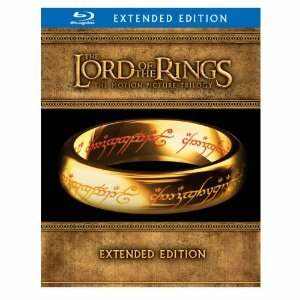 Amazon Deal: Lord of the Rings Trilogy Extended Edition on Blu-ray only $43.49! | ...and another cup of coffee. Amazon Deal: Lord of the Rings Trilogy Extended Edition on Blu-ray only $43.49! Hey there, here is a great deal Amazon is having on the Lord of the Rings blu-ray. This would make a great gift for Christmas! They have the entire trilogy extended edition blu-ray box set for only $43.39 right now. That’s a 65% savings on the original price of $119. This is a very good deal, especially since it has all the extras.